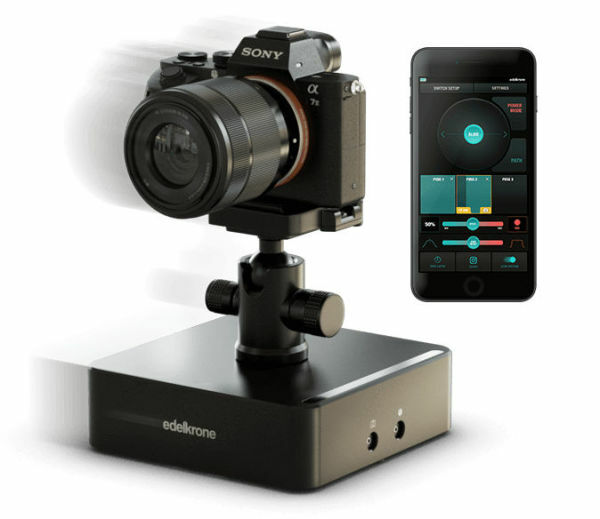 Edelkrone introduces DollyPLUS, a mobile tripod base (already shown at NAB). 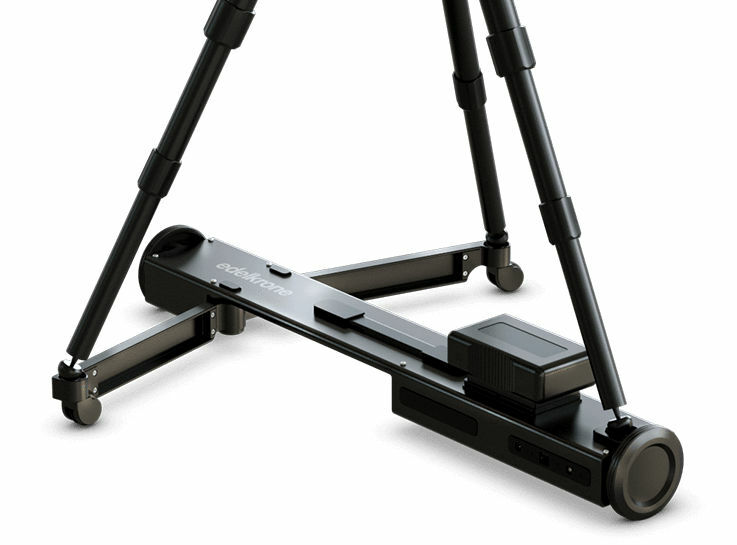 This looks quite similar to a slider, but the rolling bolt is mounted underneath the camera tripod. If you unfold two small side arms, which are also equipped with wheels, you can create motorized longitudinal or circular movements (rails are not needed), provided that the ground is completely flat. 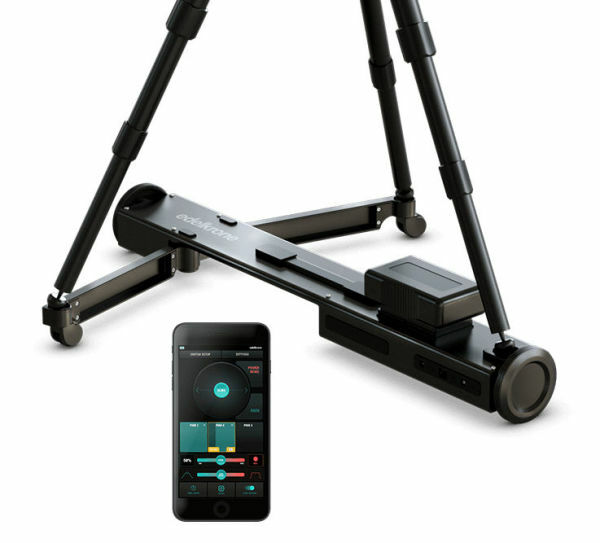 As always, the motion parameters are controlled via Bluetooth via a mobile app, and the HeadONE and HeadPLUS motorized heads can also be addressed if necessary. The power is supplied by rechargeable batteries. Two DollyPLUS models are available, which differ in the maximum load. The normal model for 1,500 dollars supports payloads up to 13.6 kg, weighs 7 kg itself (dimensions 748 x 121 x 115mm) and is powered by 2x Canon LP-E6 or 2x NP-F batteries. The slightly larger DollyPLUS Pro for ,500 can take up to 20 kg and requires Gold Mount or V-Mount batteries. It weighs 7.5 kg and measures 905 x 121 x 115 mm. The delivery should start in approx. 4 weeks. As a small table dolly the whole thing is also available, or was already available before -- apparently the small, rolling box SurfaceONE has now become DollyONE, with some improvements like according to Edelkrone a much quieter operation -- here more information about DollyONE for 700 dollars. The supported payload is 6.8 kg.